Elizabeth teaches weekly Sea Change Yoga trauma-informed classes to young males at Long Creek Youth Development Center, a total educational rehabilitative resource within the correctional setting. 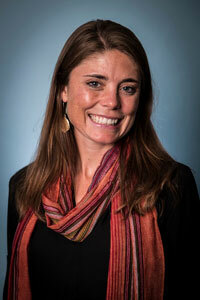 Elizabeth is a Sea Change board member and certified 200-hour yoga teacher with training in Integrative Yoga Therapy. She has worked for years with trauma-informed yoga practices through her involvement as the co-Director of Research and Evaluation for yogaHOPE, and as a trained facilitator in TIMBo (Trauma Informed Mind-Body Program). Her professional work spans from leading clinical and operational quality improvement initiatives with community health centers in the U.S. to health system strengthening efforts with partners in Africa, Asia and Latin America. Elizabeth is currently the Chief Program and Quality Officer at Greater Portland Health. In the past she worked for the Harvard School of Public Health, the World Health Organization, the Yale Global Health Leadership Institute, and the Massachusetts League of Community Health Centers. Elizabeth received her Masters in Public Health from Yale University and her Bachelors from Bates College. Her personal interests include her family, running, yoga and travel.